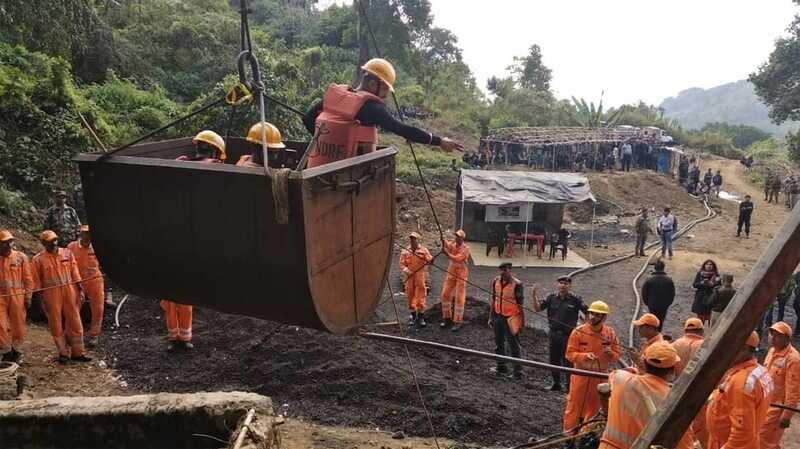 Israel's biggest relief and rescue team, United Hatzalah, has praised the relief and rescue operations underway to trace and rescue the miners stranded in Meghalaya. Lauding the National Disaster Response Force, United Hatzalah said that NDRF is a very professional organisation and are doing a fantastic job. A small team of United Hatzalah had recently visited India related to community based awareness program. ''It is a very complicated operation and NDRF is a very professional force. It would be wrong to say who is better between us. I have seen the operation of NDRF in Orissa and Nepal, they are fantastic'', Dov Maisel, Vice President of Operation, United Hatzalah said. It has been a month since 15 miners have been trapped in an illegal coal mine in Meghalaya's East Jaintia hills district. Around 250 rescue personnel of the NDRF, Navy, Coal India have been involved in operations. The Centre has also roped in the National Geophysical Research Institute (NGRI), the National Institute of Hydrology (NIH) for rescue operations. United Hatzalah is a free, volunteer-based emergency medical services (EMS) organization based in Jerusalem. Its mission is to provide immediate medical intervention during the critical window between the onset of an emergency and the arrival of traditional ambulance assistance. The team was garnered praise by Prime Minister Narendra Modi during his visit to Israel two years ago. The PM had even invited the outfit's founder and president Eli Beer to the hotel where he was staying to learn more about the service. The PM had after the meeting said that he was deeply impressed by Israeli innovation. Founded in 2006, the team has grown to become the largest independent, non-profit, fully volunteer EMS organization in Israel, with over 4,500 volunteer medics nationwide. The organisation provides free services to all citizens regardless of race, religion, or national origin.